Building custom responsive layouts is always exciting. This article examines a technique that we can use to take full control of the distance between grid columns. To demonstrate this, I’ll use the example of a responsive image gallery. For more on responsive layouts. Watch our screencast Creating Multiple Column Layouts in Flexbox. I want a 2-column layout on medium screens and smaller (i.e. <50em), and a 4-column layout on large screens (50em or above). The distance between columns should be 8px. By default, there’s a space between inline-block elements. One way to override this is to set the font size of the parent element to zero. This might also require that we reset the font size of any child elements (not necessary in our case). 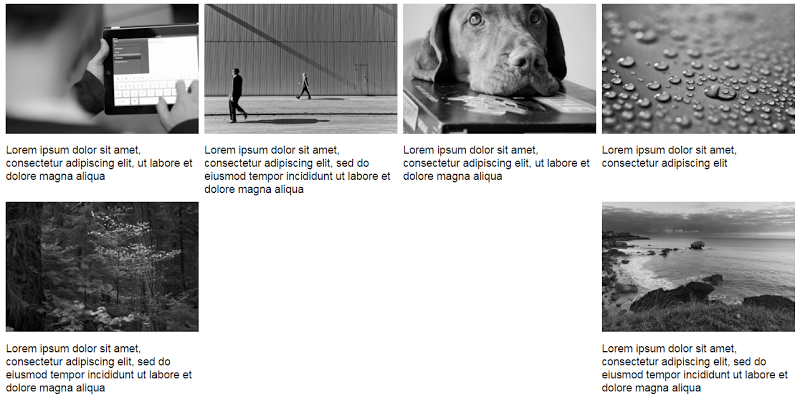 On small screens I have a 2-column layout and I specify 8px of space between columns. Total space between columns per row = 1 * 8px => 8px. 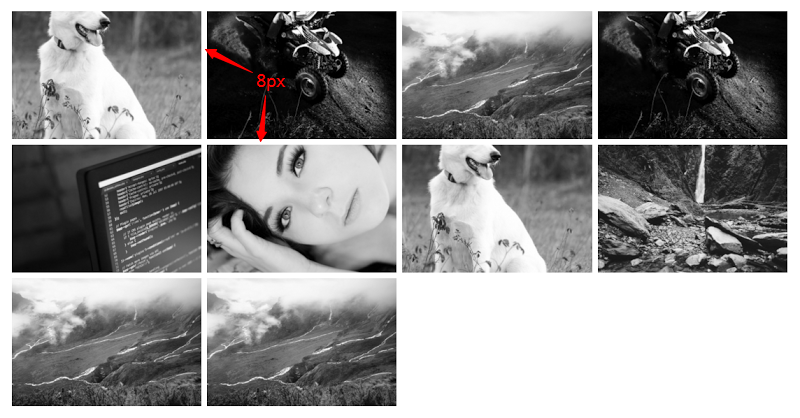 The derived value is 8px and not 16px because I remove the right margin for every second column on small screens. The width of each column = calc(50% – 4px). 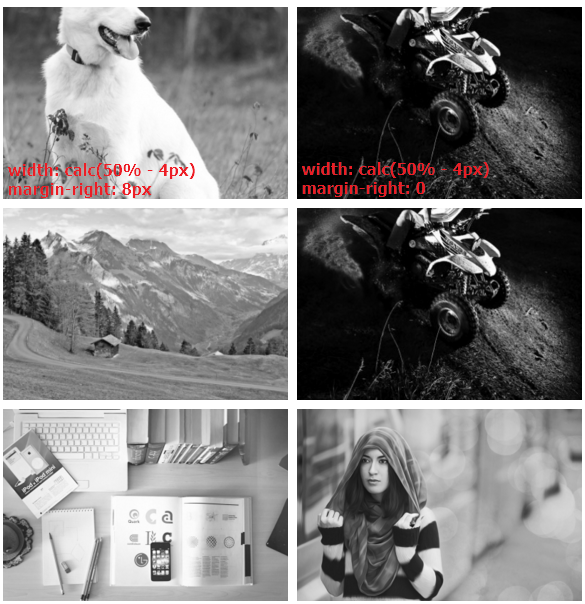 The value 4px derived by calculating: Total space between columns per row / Number of columns per row (8px / 2 => 4px). Total space between columns per row = 3 * 8px => 24px. 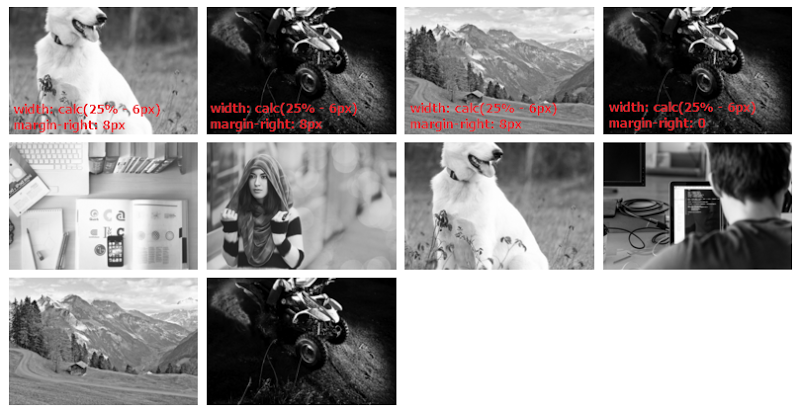 Again, the derived value is 24px and not 32px because I remove the right margin for every fourth column. For column widths, I’m using calc(25% – 6px). The value 6px derived by making this simple calculation: Total space between columns per row / Number of columns per row (24px / 4 => 6px). The solution above works pretty well, but there are some disadvantages. To demonstrate one disadvantage, let’s assume that each image contains a caption as well. In this case I didn’t assign a margin-right property to the flex items. This happens because, depending on the value of the justify-content property, the browser takes care of distributing the flex items across their container. 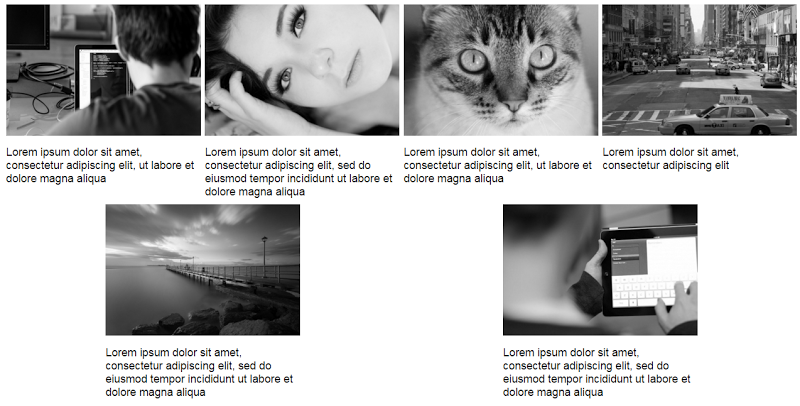 This post has covered a couple of techniques for controlling the distance between grid columns in a responsive image grid. While the inline-block method is sufficient, flexbox makes it much easier and more convenient, especially when combined with the calc() function. Get the most out Flexbox layouts and watch our screencast on Creating Multiple Column Layouts in Flexbox. If you have another solution to this problem, feel free to mention it in the comments.